So today I did my nails for the first time in weeks. 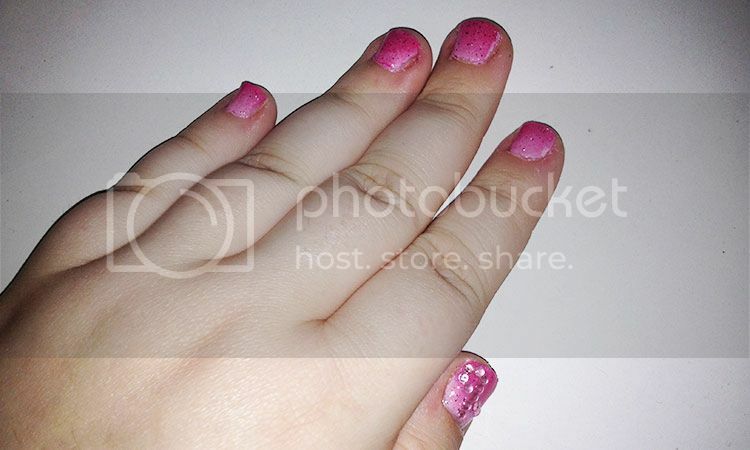 I decided to do a gradient of pinks and used a glitter polish to melt the pink polishes together. I finished my manicure by making two breast cancer ribbons, in rhinestones, on my thumbs.